Shopping for individual health insurance can be a scary task. Healthcare has a lot of moving parts, so to speak, and it feels like you need to be an expert in health insurance to determine what kind of coverage you need. Fortunately, we can make this process a bit simpler for you. The information in this article will give you some tips on what you should look for when buying health insurance. We’ll try and keep it as short and as simple as we can. As we said before, health care plans have lots of moving parts—types and variations on coverage that can make the whole process confusing. You shouldn’t shy away from buying health insurance just because it’s difficult to understand. If you are looking for an individual health insurance plan, here are some things to consider before you start. What do you think life will bring over the next year? Sure, your healthcare coverage ought to prepare you for dealing with the unforeseen—but you can control how much you’ll pay by identifying in advance the things you know you’ll need. If you plan on starting a family, for instance, you should plan to purchase health insurance that will cover those related expensed. If that’s not something you expect to do in the next year, you can save money by not buying an insurance plan that covers those costs (just keep in mind that if that happens unexpectedly, you’ll have some serious out-of-pocket costs). Knowing that you’ll need a plan that covers treatment for pre-existing conditions like diabetes, heart disease, etc. is also important. If you’re already receiving care for such a condition, then you’ll need it going forward and it’s something you’ll have to pay attention to as you compare health insurance plans. It’s been mandated by the Affordable Care Act that all individual health insurance plans pay for preventative care measures such as cholesterol screenings, mammograms, and other similar services. Health insurance coverage isn’t something you should skimp on, but it doesn’t have to cost you a fortune either. Some coverages may be more than you need and some healthcare plans may offer more than is necessary for where you are in life right now. Carefully read what’s included in the packages in your budget range to make sure you don’t pay for something you really don’t need. If you have doctors or specialists that you are currently seeing and would prefer to stay with, then find out whether or not those doctors and specialists are part of your new plan’s network before you buy. If your doctors are outside of your policy’s network you could end up footing a larger portion of the bill. If you already use prescription medication on a regular basis, you’ll want to make sure that the medication you are currently taking is covered under your selected health insurance plan and that the co-pay (what you pay out of pocket) is reasonable. Many policies require that you pay a deductible before you coverage kicks in. That means that you must pay a certain amount of a given health care expense and anything left over after your payment will be covered by the insurance company. Make sure that you can afford to pay the deductible on the healthcare plan you’ve chosen. Also find out if any costs are excluded from the deductible; some things you may have to pay for out of pocket may not count towards your deductible which means you could end up paying even more. On the other hand, healthcare plans with a higher deductible will have lower monthly payments, or premiums, than low-deductible plans. 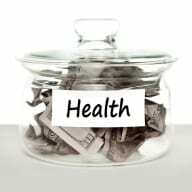 Generally speaking, younger people benefit more from high-deductible health insurance plans because they go to the doctor less often and should have lower healthcare expenses as a result. Their health insurance plan would still be there to cover them if something unexpected happened such as a medical emergency. Don’t just look at how much the premium will cost. When considering which health insurance plan to purchase make sure that policies are similar. Look at the items discussed above and compare those points between the two policies. Consider what you’d be willing to give up in favor of a less expensive health insurance premium. Think about what you can’t live without and whether you’re willing to pay a bit more for it. Sure, there’s going to be some legwork involved, but it’s not as hard as you thought it would be. Hopefully these tips will help you get through the process easily and without too much confusion. For those still having difficulty, we recommend these other helpful health insurance resources.